According to a blog post by Gabe Aul, if you own a Lumia device you will likely have the next Windows 10 for Phone preview available on your device. The news is certainly welcome to everyone who was disappointed by the limited number of devices the original preview was available for in January. That seems to be resolved thanks to the partition stitching process that had to be resolved on many devices and within the next couple of weeks we should see a new build. Shortly after the original Windows 10 for Phone preview, Gabe Aul blogged that the main reason more devices did not get the preview was due to a limited amount of space on the phones for the Operating System. To get around this, Microsoft has been developing what they are calling partition stitching which effectively allows them to dynamically change the OS partition so the update can be installed. Gabe Aul points out that this is a preliminary list so it could change a bit but it’s obviously going to be a massive release. One interesting omission that I see in this list is the Lumia 930. The Lumia Icon, the Verizon variant of the 930, is listed so it is possible it will also be available for the 930 itself. However, given that such an extensive list of devices was listed, I have a feeling it may not. Time will tell. So when will Windows Insiders see this new build? Based on the post, it looks like another week or two. My guess is around mid-April. What do you think of the list? 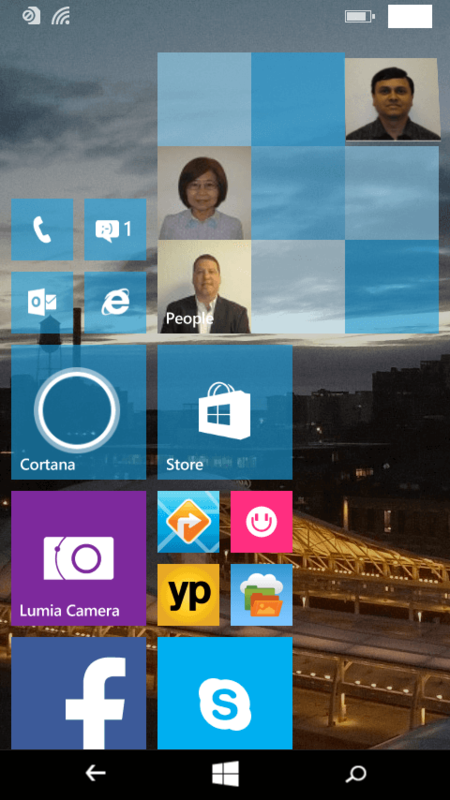 Are you happy to have the chance to try out Windows 10 for Phone on your Lumia?